When I’ve talked about what a co-operative economy might look like I’ve had it said to me a few times that Yugoslavia, back when it was Yugoslavia, had an economy made up of co-operatives and that this experiment didn’t go very well. It turned out this wasn’t really true, but I discovered it can be hard to get information in English about the Yugoslav economy. There are a few links below but some of them are written by neo-liberal ideologues. I have a book called The Market-Planned Economy of Yugoslavia (Svetozar Pejovich) which goes into some detail, but it is written by a fanboy of the day. It seems it has not been in the interest of most of the English-speaking left to excavate what happened here. So what is true? 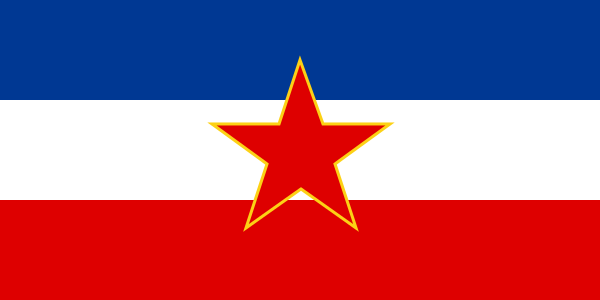 Yugoslavia was very much not aligned with the USSR and eventually came up with a relatively marketised economic system in which workers nominally managed their own workplaces. Some aspects of the economy were however controlled, supposedly for the common good. Yugoslav industry was not run as co-operatives as so often claimed, or not co-operatives as we would recognise them. Workers co-ops as we know them are owned by the members. Yugoslavia nationalised all industry so most of the workplaces were owned by the state. It was only managed by the workers. So they got no reward from developing their own workplaces, and if the enterprise failed they could simply move to another. That in itself might not have been fatal. But the degree of self-management is also highly disputed. Members of the Communist Party were often very dominant in the management and they took orders from the Party more than from fellow workers. The central government significantly meddled in the affairs of the supposedly marketised industry. Since the government owned the industry they felt they could order industries and factories to do what the central government needed. Given the totalitarian grip of the Communist Party these diktats would have been difficult to disobey. And finally it seems the economy as a whole was run very poorly. Eventually the government was simply printing money to lend to enterprises to expand or start up. This might have worked in a limited way if the enterprises had been carefully selected and vetted, but in reality many doomed enterprises were given this money magicked up by the central government. This naturally ended in rampant inflation. Eventually Yugoslavia and the countries it split into were given neo-liberal shock therapy that helped drive the region to war. I might write more at this at another time when I know more – my knowledge is still very basic here, partly because of the lack of sources. Crazy. If you want to watch, let me know. I vaugly remember Stiglitz writing about Yugoslavia too, perhaps in Whither Socialism or elsewhere. On a slightly (un)related note, a leading theory in the murder of Jill Dando is that it was retaliation for the NATO bombing of the Radio Television of Serbia HQ in 1999. Next Post: Should the Marikana massacre have killed the positive thinking industry? Orson Welles the accidental radical? Copyright © 2019 Preorg!. Powered by WordPress and Stargazer.